mrC makes fun of me for carrying a tennis ball in my purse when we travel. But seriously, it is a mini-massage ball, a tiny foam roller, magic for making my muscles feel better when I don't have a masseuse...or a foam roller handy. My legs felt pretty good after my run on Saturday, but I noticed that the range of motion for my left knee felt a little tight. I can usually relieve that with a good stretch session, but zeroing in on tight spots with the tennis ball has a much better result. While mrC went off to play work in the simulator on Sunday, I took our dirty clothes to the laundry room. I walked on the treadmill while the clothes were washing. It was a rest day, so I kept my pace moderate and the incline only on 2. 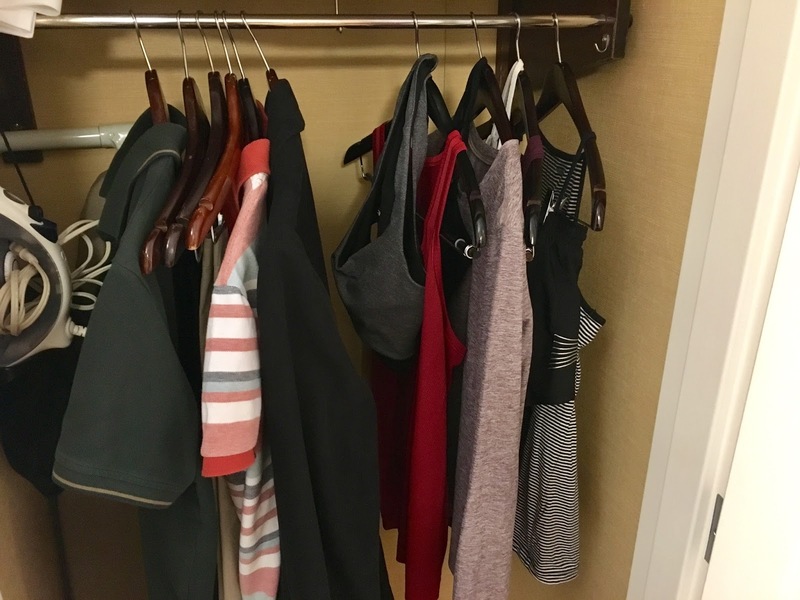 I do not put my workout clothes in the dryer, so I took them to the room to hang up and have some coffee while the rest were in the dryer. It was a cold and blustery day ---> perfect for some chicken noodle soup. It's been awhile since I had this microwaveable Campbell's soup and I remember it tasting better than it did today. When mrC returned and had eaten, we went for a walk. It ended up being much shorter than I wanted because it was super windy and the wind was really, really cold! We explored the center next to the hotel and found a used books/movies/music shop. I thought it was such a great idea because you can buy and sell. 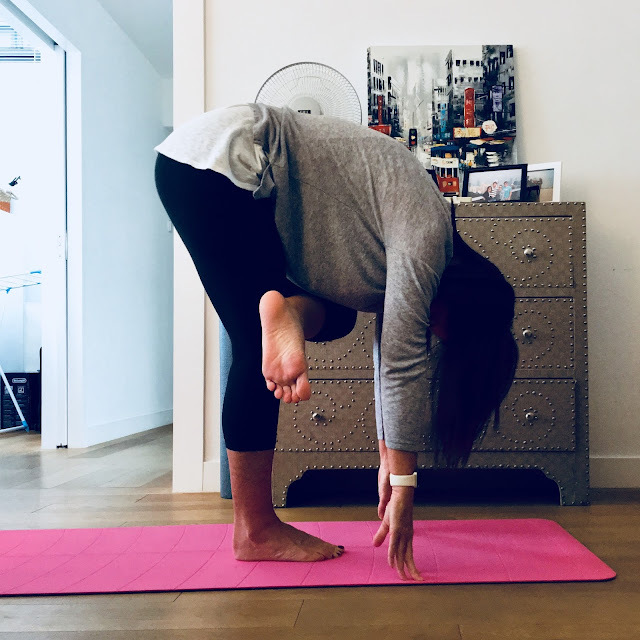 Before dinner I did a yoga video ---> Travel Yoga - Revitalizing Flow (I'm trying to bring back the yoga practice). I didn't really know it until I got going, but my legs had gotten a little sore, I guess from my run on Saturday. So the short and sweet session definitely felt good! In the picture I'm doing wide leg forward fold with a twist and wow! 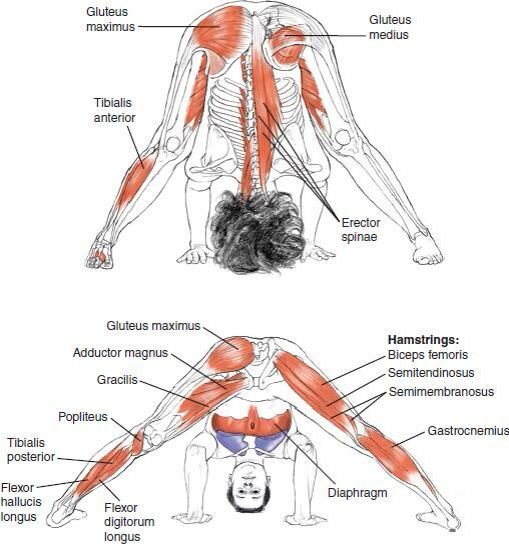 I could feel this stretch in all parts of my leg muscles including the outside of my ankles up to my knees. It made me think about how many tight muscles I have in my lower body - a lot more than I realize. We ordered pizza for dinner and then mrC did some more studying while I watched tv. It was a pretty relaxing day! What do you carry when you travel that people might find strange? How do you spend a relaxing day? Yesterday started on a very high note ---> 3.68 miles! It was my first outdoor run in about 7 weeks. I knew I would want to get in a couple of runs while we are in Delaware because the Wellness Trail nearby is pretty flat which makes my knee happy. I just needed the weather to cooperate. Yesterday started out super foggy and chilly. Since I don't know the area that well, I didn't think it would be a good idea to be wandering around in this. I delayed my run and crossed my fingers that the sun would come out. I'm so glad I did because it turned out to be a beautiful day for a run. I walked about 5 minutes from the hotel for a warm-up and then followed my 4:1 minute intervals for 8 sets. This was one of those runs where everything felt right. The weather, the shoes, the music (Grrl Power 2 from Rock My Run) and the route. Maybe that's why it turned out to be my longest run in months. 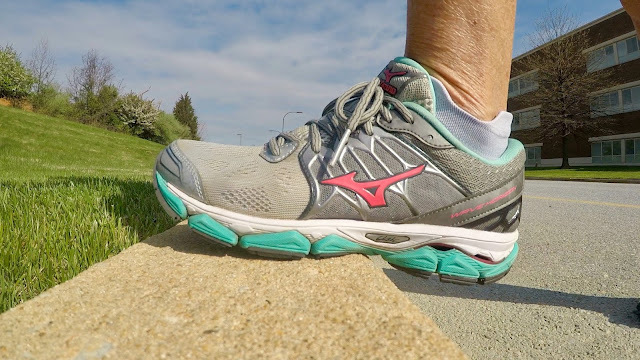 My Wave Horizon are a year old now, but only have about 100+ miles on them. I wrote about why I like them (here) and I still do. They are a good fit for me and my knee problems. During my post-run walk and stretching, I got to thinking about my running plan ---> or lack of running plan. I don't have any events lined up until October when I'll be visiting my family in Cincinnati. I'll be running the Queen Bee 4 Miler along with my mom and BFF who will be walking, maybe running. So my new running plan is to run at least twice a week (depending on how my knee is feeling). 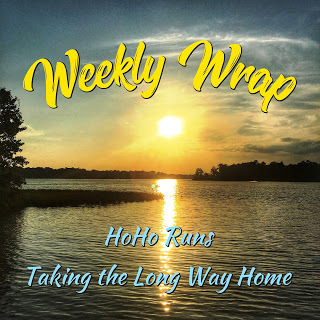 One run will be during the week around 2 miles and a "long" run on weekend. I'll start my long runs at 3 miles and build up to about 4.5 miles. It's not the same kind of running plan as I used to have when I trained for half marathons (pre-meniscectomy). I would love to run more, but the lack of cartilage limits me now. So, I'm making the most of what I can do and I'm happy to have a plan. Long sleeves and shorts - one of my favorite combos! Monday - 40 minute swim. 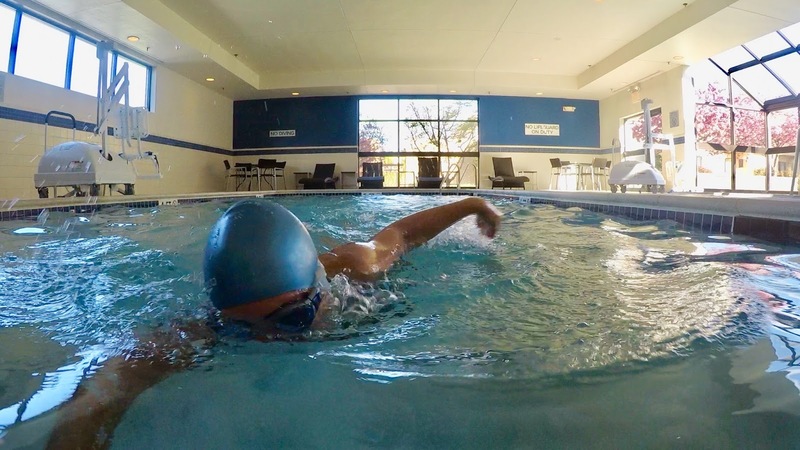 It felt good to be back in the pool, even though it was the typical tiny hotel pool. Thank goodness I had the place to myself. A couple of checks of the time showed me that I could do 4 laps in under two minutes. So for my workout, I did what I'm calling 2 minute sprints with 20 seconds rest. I have no idea how many laps or the distance I swam (my watch doesn't do that), but it felt like a good workout. Tuesday - treadmill run. After a not-so-good night of sleep, I did a short treadmill run. Using my interval timer again, I ran 4:1 minute intervals for a total of 2.17 miles. My right calf felt tight out of the blue and a little sore, so I spent some extra time stretching afterwards. Wednesday - rest day yoga. We drove about 5 hours in mostly rainy conditions to Delaware for mrC's work. After picking up some groceries for the week and checking into our room, we refreshed our bodies with Yoga Rinse. Thursday - 30 minute swim, walk 3.21 miles. Second swim of the week in my second hotel pool. Friday - 30 minute elliptical + planks. Kept my workout simple: 10 minute WU, 10 minutes sprint session (20 seconds sprint:40 seconds recover), 10 minute CD. 35 minute afternoon yoga flow. Saturday - RUN! My second run of the week for 3.68 miles. Sunday - rest day. 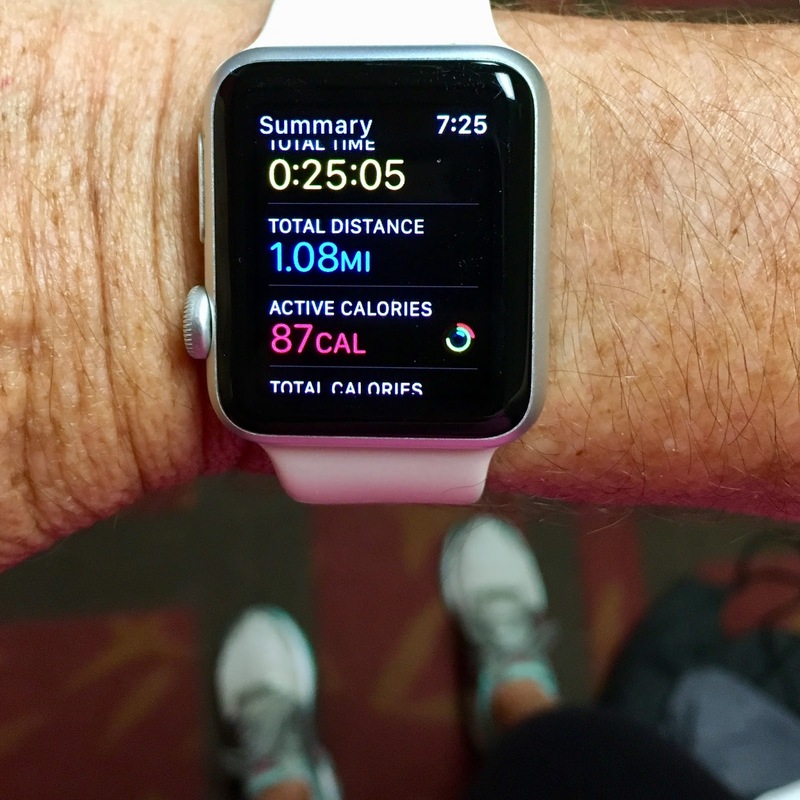 1 mile walk on the treadmill while using the hotel laundry facilities and a yoga video. 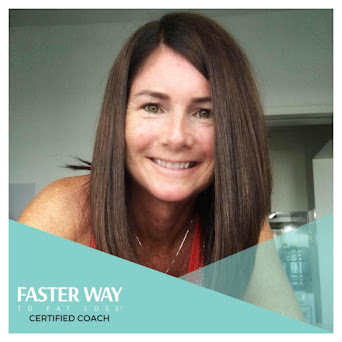 Are you following a running plan right now? My first full day in Delaware started with a morning swim. The Marriott hotel that we are staying in while mrC attends his recurrent training has an indoor pool that looks like it's the same size as any other hotel indoor pool, which according to my quick online research averages around 17 feet. Using that number in my workout (40 laps), I probably swam 400 meters in 30 minutes. It felt good to be in the pool, but I'm really missing the 25 meter length of the lap lanes at our fitness center. I realized yesterday that there are a lot of variables that can affect a workout when traveling. Just going to swim I had to 1) adjust to the length of the pool, 2) deal with the fact that there was no changing room or toilets at the pool ---> hello changing under a towel!, and 3) time my workout so that I didn't miss the breakfast service window. 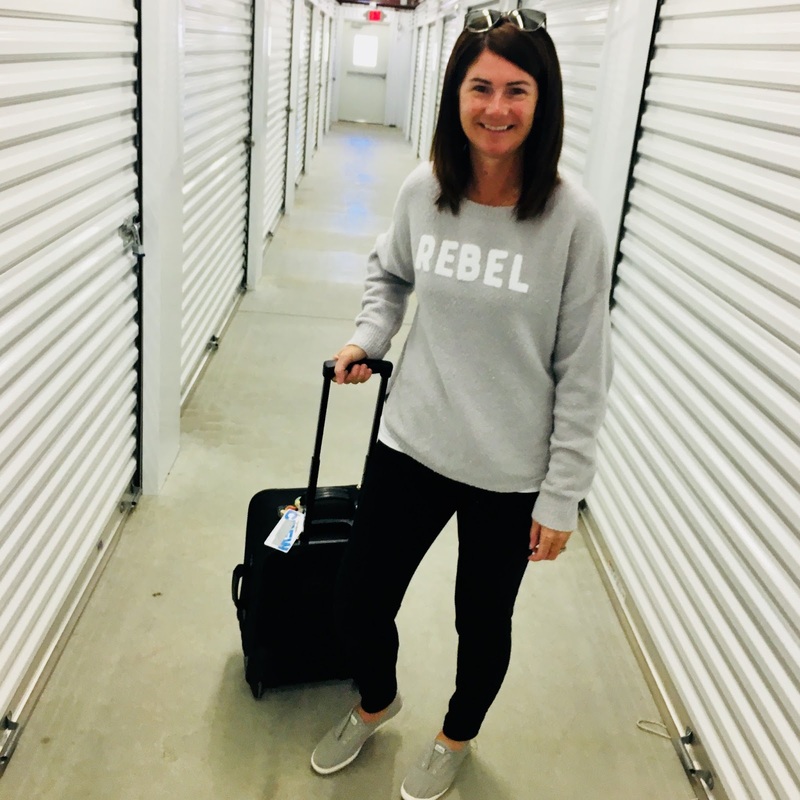 Traveling presents other obstacles I've talked about on Instagram and in previous blog posts, but what it boils down to is that you have to figure out a way to make it work. Whether you go outside or inside or stay in your hotel room, there are plenty of ways to workout when you are on the road. It might not be exactly what you planned, but you can't wait for everything to be perfect. You might be waiting forever! It was such a pretty day that I decided to take a walk after my free breakfast of scrambled eggs and chicken sausage. There's a Wellness Walking Trail that I found when we were here last year not far from the hotel. From the hotel, the entire loop was 3.21 miles and took me about an hour. 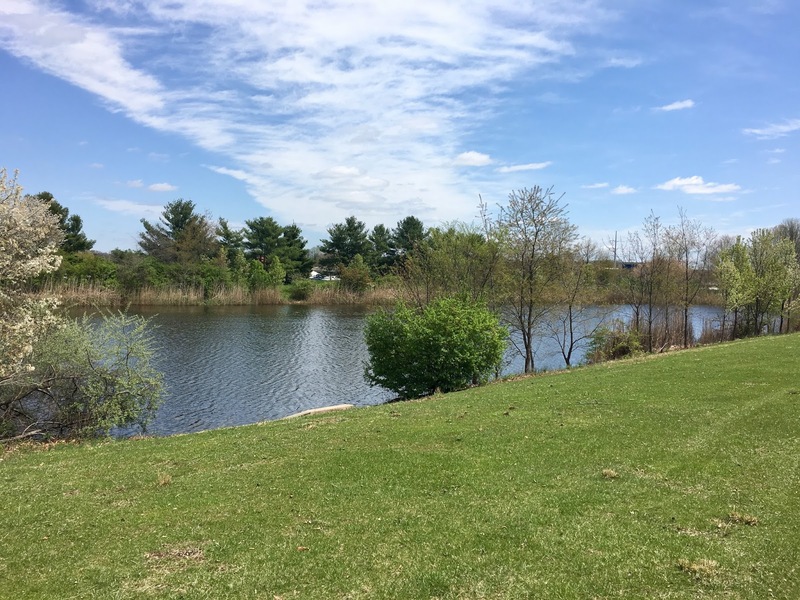 Most of the trail loops around the hospital campus maze of parking lots and buildings, but one section passes by this small lake. It was still a bit chilly for me at 60 degrees but a great follow up to my morning cardio workout. 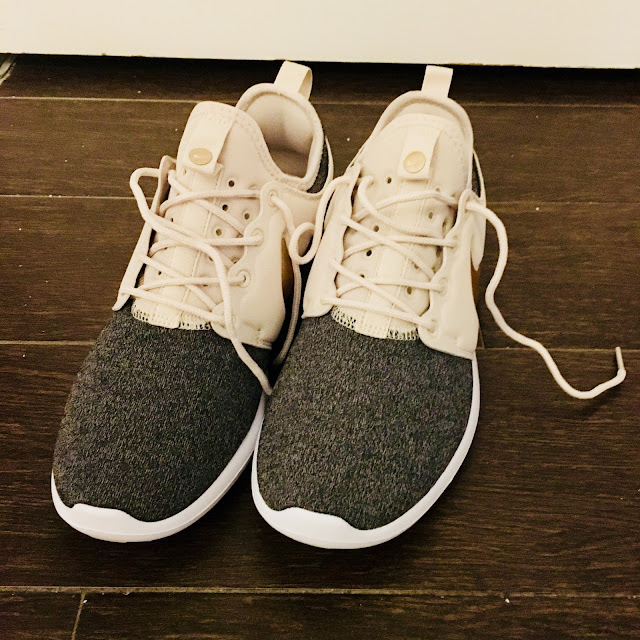 1) These athleisure shoes are so comfortable and make me feel like I'm not wearing sneakers because they are so stylish. 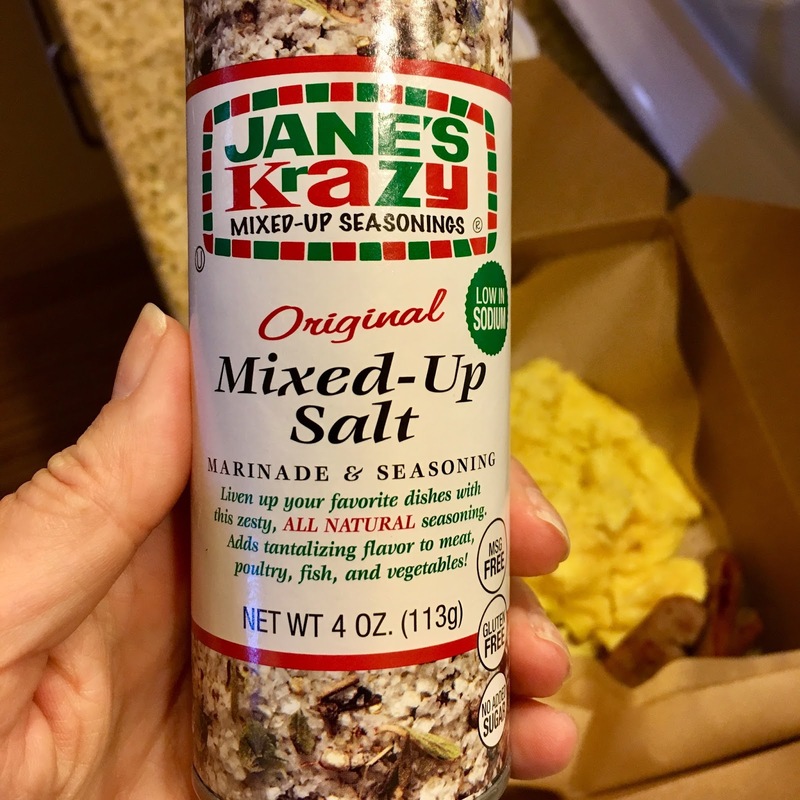 3) Being reunited with Jane's Krazy Mixed up Salt because it just makes everything taste better, especially my eggs. 4) I'm so happy that we upgraded our GoPro because it takes amazing water photos (see above) and I don't have to mess with a waterproof case. 5) Spring. 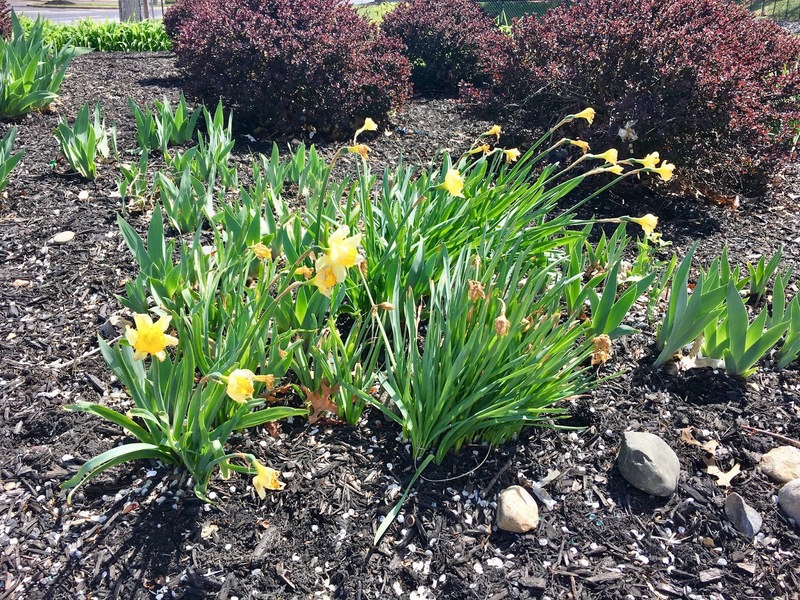 It was so nice to see signs of Spring. I know many of my US friends have been waiting a long time to see this and I forgot how much I like daffodils. This post is sponsored through my partnership with ValuedVoice. I've always loved a great race-cation ---> the combination of running a race and taking a little vacay at the same time. Who doesn't love the idea of celebrating and soaking in all the happy endorphins for a couple of days (or more if you can) after completing a race? Thankfully there are plenty of great places to go and ways to do this. The Competitor Group makes a running vacation easy by hosting annual running events all around the world. 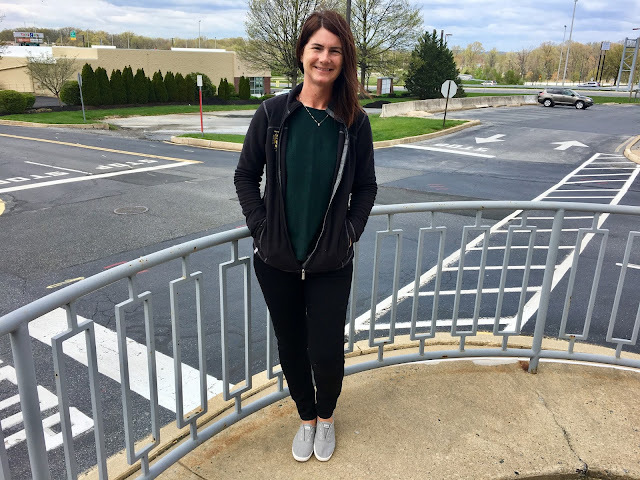 In the United States, their events offer runners a opportunity to travel to a lot of really great places including Washington DC, Chicago, Las Vegas, and many more. 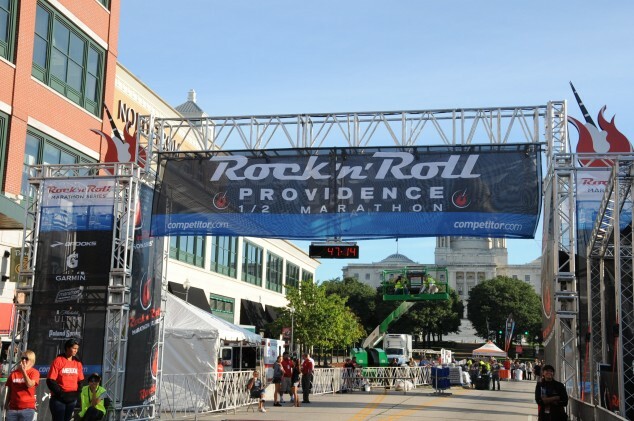 The event, which can be combined with an amazing vacation, is called the Rock n Roll Marathon Series. These events combine running with another popular passion: music. As you run, there are live bands playing at just about every mile making it feel as if you are running through a rock concert. Having done this a couple of times in Providence, Rhode Island, I can tell you that it is a lot of fun! There are even events available for those who are up for a bigger adventure and would like to travel overseas to places like Spain or Ireland. Talk about a global running experience! If you don't feel up to traveling that far, other North American options include Mexico and Canada race locations. There are so many options, runners will have a hard time deciding where to take their race-cation. Another popular running vacation experience is to do one of the Disney races. These races are known for being more family oriented, although they are just as appealing for grown-ups too. If you have kids, you are probably going to find yourself at one of the giant resort parks at some point anyway, so why not combine it with a little fitness? Florida of course is the most well-known Disney location, but running travelers can also find a great experience in California. Mickey, Minnie, Goofy and the others famous Disney characters can also be found waiting to spend time with travelers in Paris and even in Hong Kong! These events are perfect for any family because they boast no time restraints. 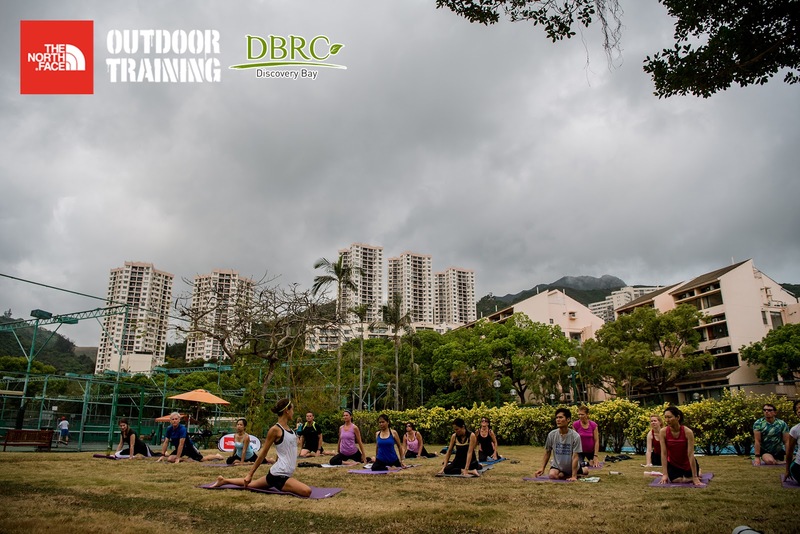 You can 100% enjoy your time running or even walking a 5K, 10K or half marathon through the park and seeing it from a completely different point of view. 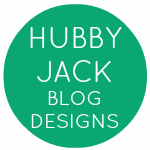 And, with so many themes from Star Wars to Tinker Bell, there is something for everyone. The whole family will have a great time. You can also get race photos taken with all your favorite characters along the way. 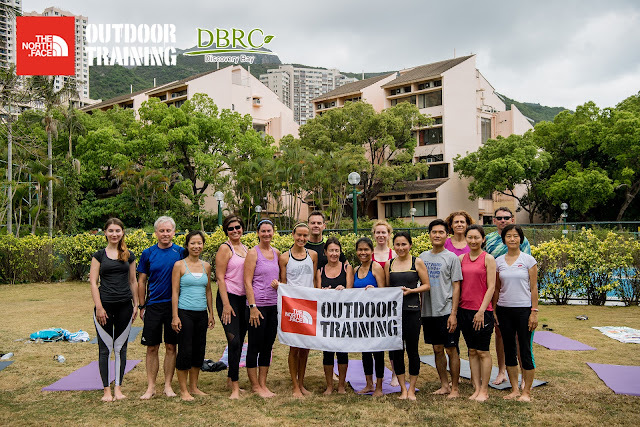 For runners who prefer being outdoors enjoying nature to spending time waiting in lines for amusement park rides, the National Park Half Marathon, Ultra Marathon and Trail Running Festivals are a great way to combine running and vacation time. With these events you can just road trip around the US and experience the beauty of the nation's most iconic national parks ---> kind of like summiting all the major mountains for hikers. Vacation Races organizes 11 events in places like the Grand Canyon in Arizona, the Great Smokey Mountains in Tennessee, Yosemite, Yellowstone and many more. Running visitors can enjoy all levels of hiking before and after the events. Whether you use the trails for race prep or recovery, it is bound to be beautiful. The races promote sustainability with refilled water pouches and portions of the registration fees for these events are donated to the park making it a win-win for everyone. Stand alone events also offer a great running vacation. 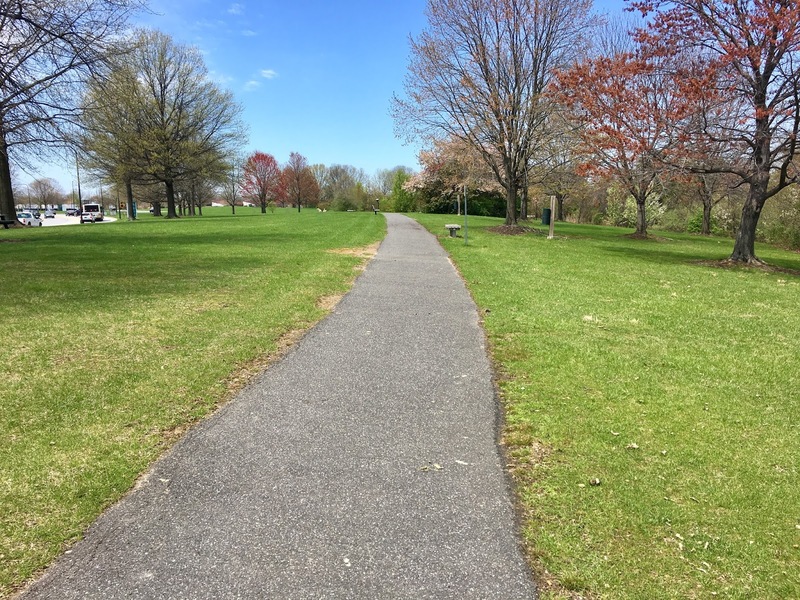 Cross that major running event off your bucket list and then explore the area as part of your recovery. Thousands of people flock to places like Boston, New York City, Chicago and Los Angeles every year to complete dream races. In Boston, runners can wander around the historic city and enjoy some famous lobster rolls. The Big Apple has plenty of sights to offer or maybe just a day at the spa. In Los Angeles you can chase the stars or relax on a beach after crossing the finish line. 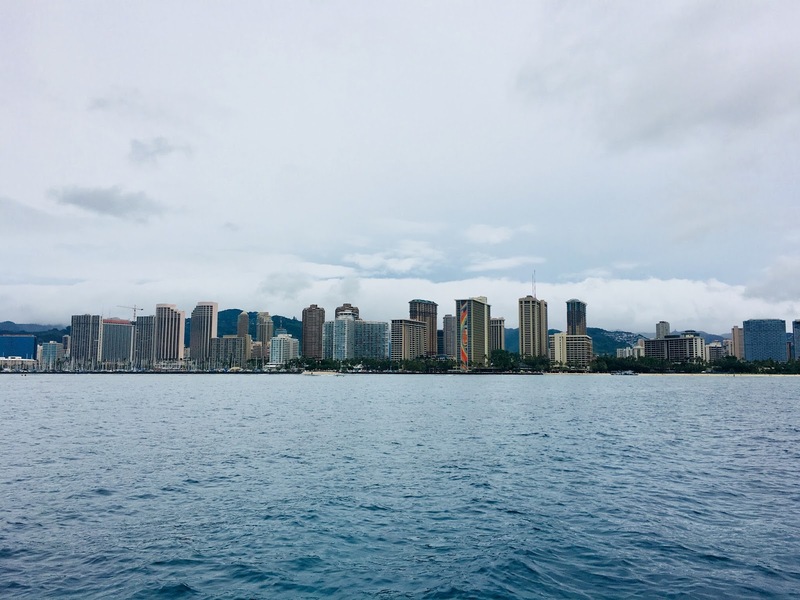 Maybe you need to escape the cold winter by participating in the fourth largest marathon held in Honolulu, Hawaii in December. What a great place to pick up a shiny new medal and a tan ---> and trust me (because I was just there), the beaches are absolutely beautiful! Lots of people cross the big pond for a royal jaunt with hopes maybe of seeing more than just Buckingham Palace. Fancy a photo op of Will and Kate or Harry and Megan perhaps? Turn your race into a running vacation and you might get lucky while having a bit of recovery Yorkshire pudding. One of my all time favorite places for a race-cation is Cape Cod. 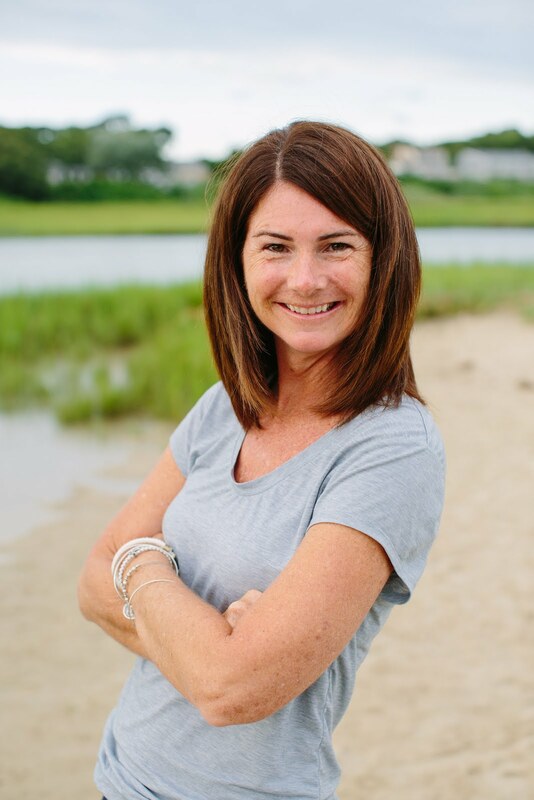 Every fall the ZOOMA Half Marathon Series holds an event in Falmouth. 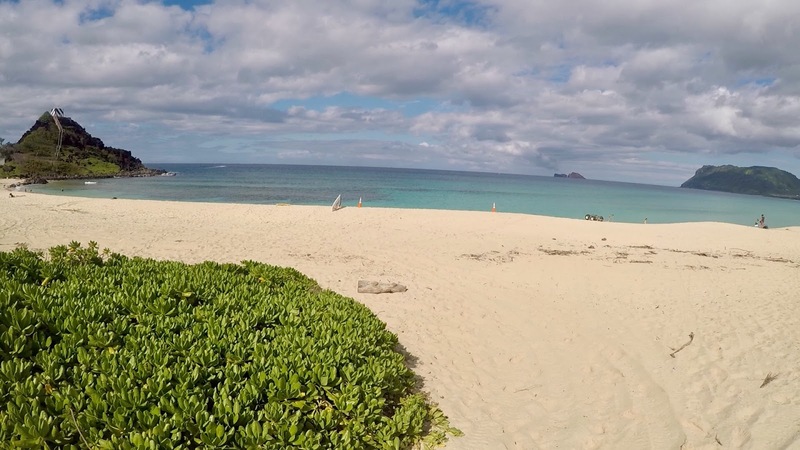 Not only is the scenery stunning, but the host hotel is right on the beach making it a perfect way to combine running with a little weekend getaway. Race organizers plan the weekend so that it makes a perfect weekend getaway for the ladies. That's right. ZOOMA is a women's race series. Gather in town a day or two early to relax on the beach and attend the pre-race mocktail. Prolong your stay after race day to take advantage of the ocean waves and sunshine with some recovery yoga on the beach. 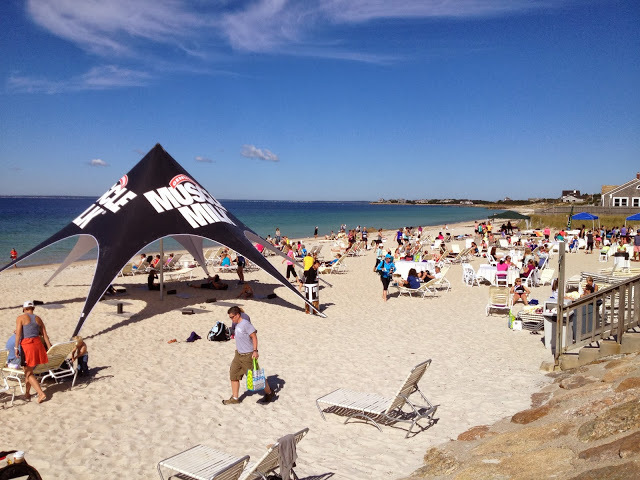 ZOOMA Race Series offers several race-cation locations including Austin, Annapolis and Amelia Island. All catering to strong and motivated women with weekend events filled with inspiration and pampering. A fitness vacation centered around a running event can be both exhilarating and relaxing. Hitting up popular destinations for the scenery alone can be worth it, but nothing compares to participating in some of the best running events around. Have you ever taken a race-cation? 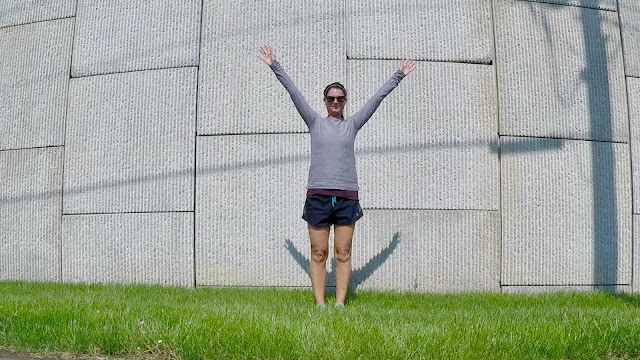 Do you have a running vacation on your bucket list? Do you have a favorite race series? 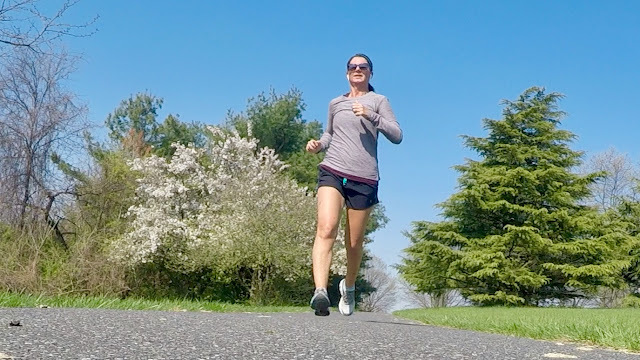 I'm doing the link-up with Patty, Erika, and Marcia for Tuesdays on the Run! I barely unpacked the suitcase from my awesome Hawaii trip before it was time to pack again. Every spring and fall mrC has work in the US. I tag along and then we add some vacay days to see family. In the spring, we always go to New England. We fly to Hartford (and stay there when we have extra time, like this trip) and visit with mrC's family in Springfield. Then we head to Delaware for his work. This time, mrC had a trip that put him in the US way ahead of schedule. So instead of flying back to Hong Kong only to turn around and fly back to the US with me, he stayed and I flew to the US on my own (yes, solo and my first time doing it alone). It was worth it, because we gained an extra week of family time including a weekend with the girls in New Hampshire and it doesn't count toward his vacation days! 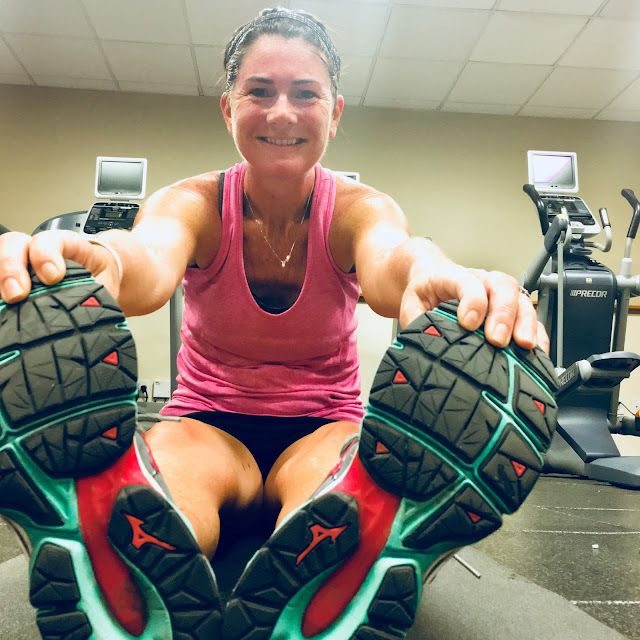 Somehow, between all the family time and traveling, I managed to fit in fitness. Monday - Yoga - I stayed up sooo late (in Hong Kong) watching the Boston Marathon (how about that finish???) I only slept about 5 hours, but had to pack and get organized for my trip. I did some yoga inspired by the outdoor yoga session I went to on Saturday. My goal is to run through the poses to loosen up my tight hips and legs at least three times a week. Tuesday - Yoga - found a travel yoga video and used it as a pre-flight relaxation session. This helped me tons on my first 15 hour flight, but my body was toast after a delay on my connecting flight caused me to get to Hartford after midnight (22 hours after leaving Hong Kong). 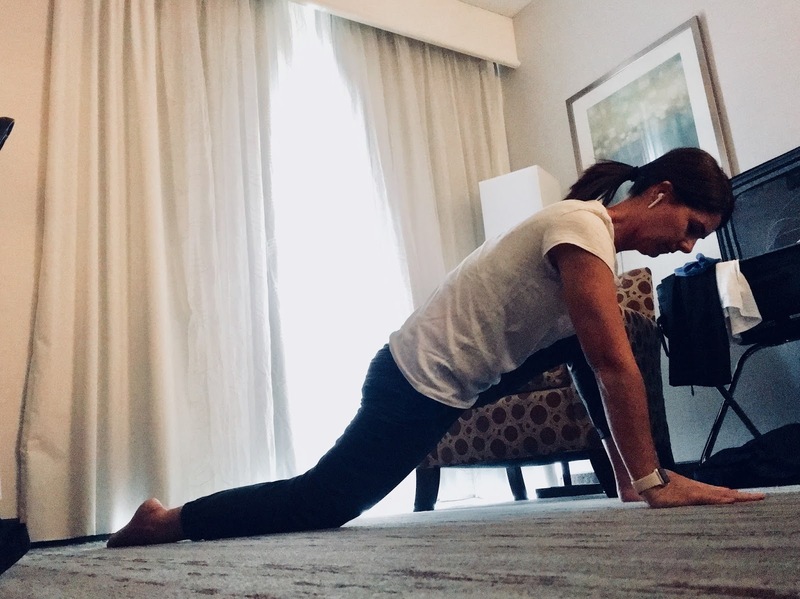 Wednesday - Hotel room yoga to work out the kinks from a looonngg day of travel and worked through those hip opener poses. Felt pretty good, so I thought I'd do some cardio. The hotel pool is closed for "maintenance" and 2/2 treadmills are broken ---> like missing the buttons to change the speed broken (which made me realize that "maintenance" at this hotel was a euphemism for neglect. I ended up doing an elliptical workout: 10 minute WU, 10 20:40 interval sprints, and 10 minute CD. Plus 2 minutes planking and lots of stretching. Friday - Rest day. Spent the day traveling to NH, renewing my expired driver's license and meeting up with the girls for some quality catch-up time. This 50 minute bootcamp was a lot different from other classes I've taken. First we warmed up with a fun game of "catch the PVC pipe." We all stood in a circle with one hand behind our backs and the other holding the pipe. When directed we let go of the pipe and moved right or left to catch the pipe of the person next to us. After some practice rounds, it became a friendly competition. If you dropped the pipe, you went to the "loser's" corner to do three burpees and then continue playing the game as others joined you. Dev was in the final three and they all dropped the pipes at the same time! I say she was a winner. Next we worked on mobility with lacrosse/softballs. Our instructor showed us how to roll our glutes, TFLs and lats. I was impressed by this part of the class, but also wondering when does the workout actually start? I got my answer in the final portion of the class. It was circuit time and here's how it went down. Partners work together to bike 180 calories or 21 minutes (whichever comes first). While one rides the upright bike with arms, the other sprints to stations to complete 4 kettlebell swings, 4 wall tosses with medicine ball and 4 sumo squats with kettlebell. Then you switch. We just made it over 100 calories when the timer ended. That 21 minute circuit is where we almost died, haha ---> and our workout had been modified because we were drop-ins. The others were doing clean & presses, using heavier wall balls and front squats. I was super impressed that we were not asked to use barbells because the instructor wasn't sure we knew the proper technique. I suppose we could have made a case that we know from Bodypump, but I still think it was a smart move on the part of the gym. The only thing that surprised me was that we did not cool-down/stretch as a group. Considering how much was put into the beginning of the class I thought for sure we would do this. Plus, every class I've ever taken has included at least 5 minutes of cool-down/stretching. 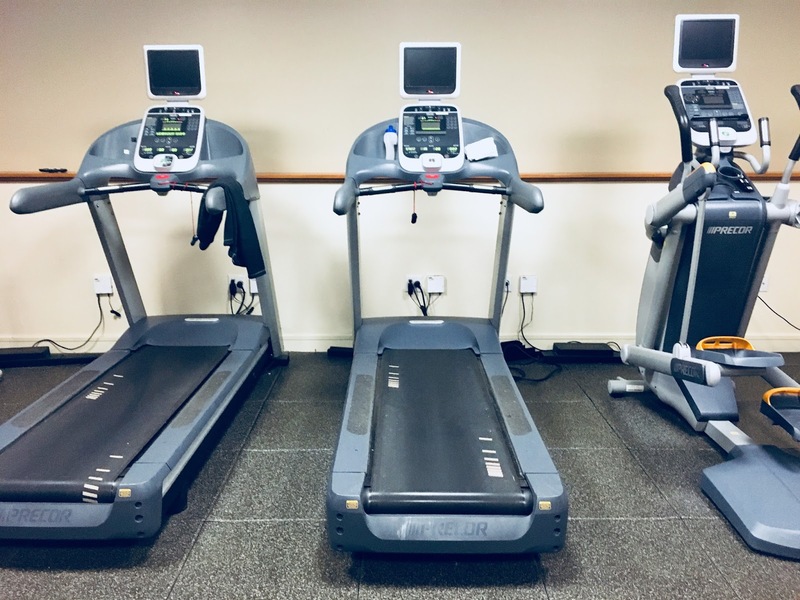 What's the worst hotel fitness room you've ever seen? Does your fitness class include mobility and/or cool-down stretching? 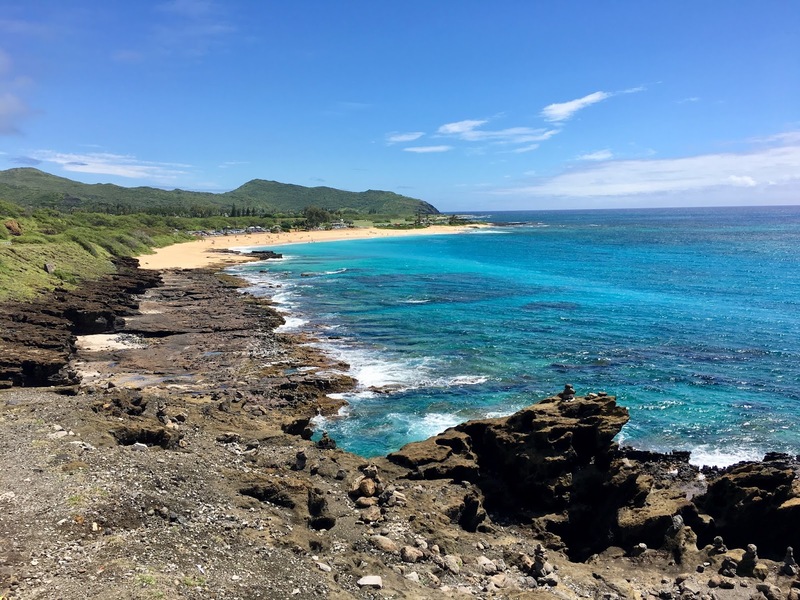 My weekly wrap is a little late because I just got back from a surprise trip to O'ahu with mrC. I'd been dropping hints all over the place about how fun it would be to getaway and apparently he was listening ---> he's a great husband! 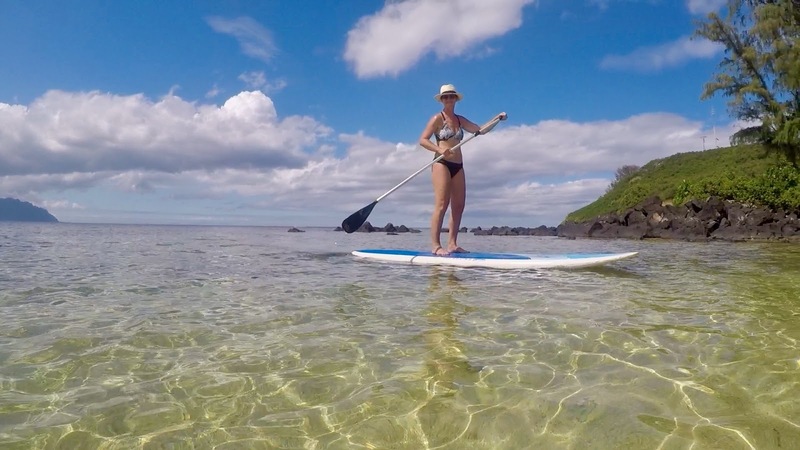 Hanging out on the SUP at Secret Beach - steps from our cottage! This was an easy hike with a series of switch backs most of the way up to the 761 foot summit. The path was a little slippery from the passing morning showers, but with good shoes it was no problem for us. The "hard" part was near the top - 99 steps, a spiral staircase and a few more steps to reach the summit. It was pretty crowded and some clouds rolled in right as we reached the top, but it was still amazing to cross this off our Hawaii bucket list. mrC introduced me to snorkeling when we were on Kaua'i almost 10 years ago and knows how much I love it (even though I don't really like deep water), so he took me to one of the most popular snorkel spots on O'ahu. 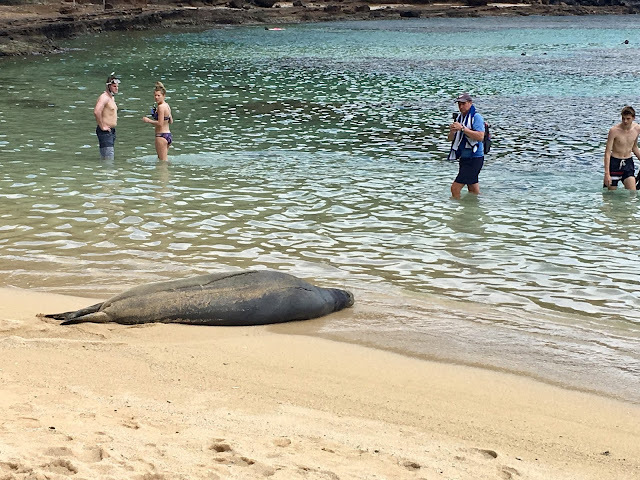 We swam around spotting fish and avoiding coral (it was low tide) and even got to see a monk seal that was sunning on the beach that day. 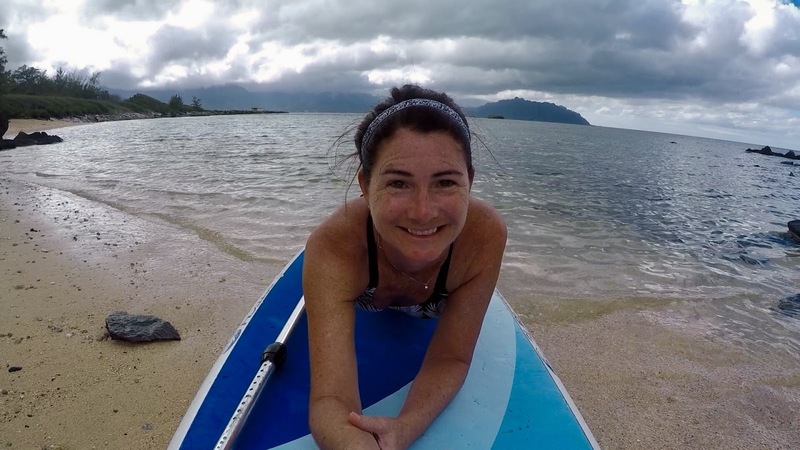 We rented a SUP board from the MWR office and used it while we were staying in the cottage. The water was shallow and full of coral, but so flat. Perfect for SUP (my new bikini top was perfect for all my water activities!). A great spot for swimming and sunbathing was right down the road from the cottage. Named for the pyramid shaped rock on the coast, Pyramid Rock Beach had powder white sand and was surrounded by tropical plants. It was a lot harder to swim there than the pool at the fitness center, but way more fun! When we arrived on Tuesday, we stopped at the Pearl Harbor Visitor Center. 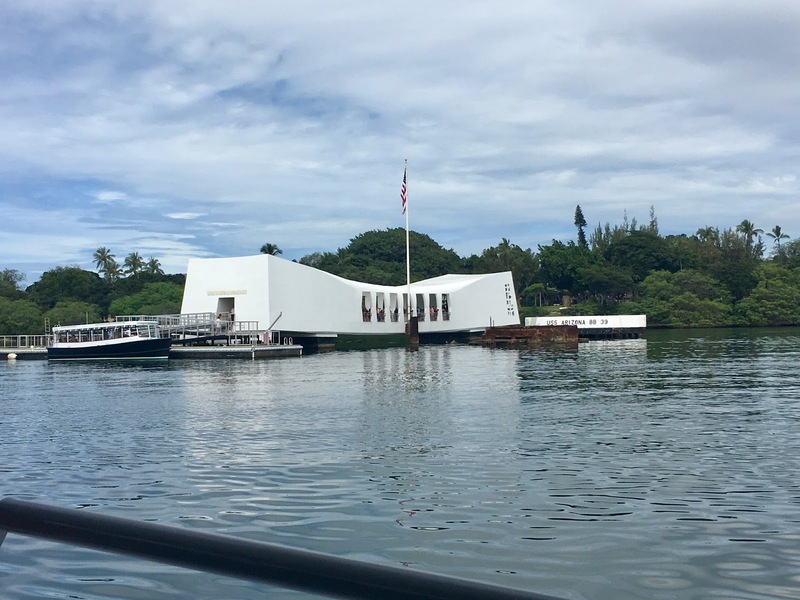 We lucked out and got the last two free tickets to take the 75 minute USS Arizona Memorial Tour. We watched a short documentary about the attack on Pearl Harbor took a shuttle boat to the USS Arizona Memorial. 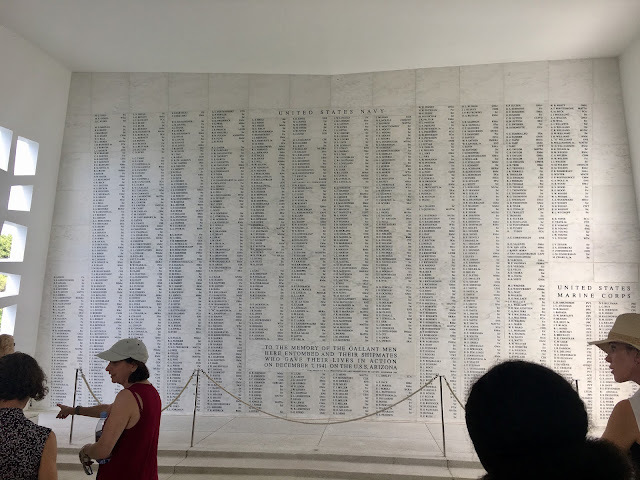 To see this place in person is quite powerful and moving. I found myself fighting back tears many times. mrC's friend gave us a private tour around Joint Base Pearl Harbor-Hickam. 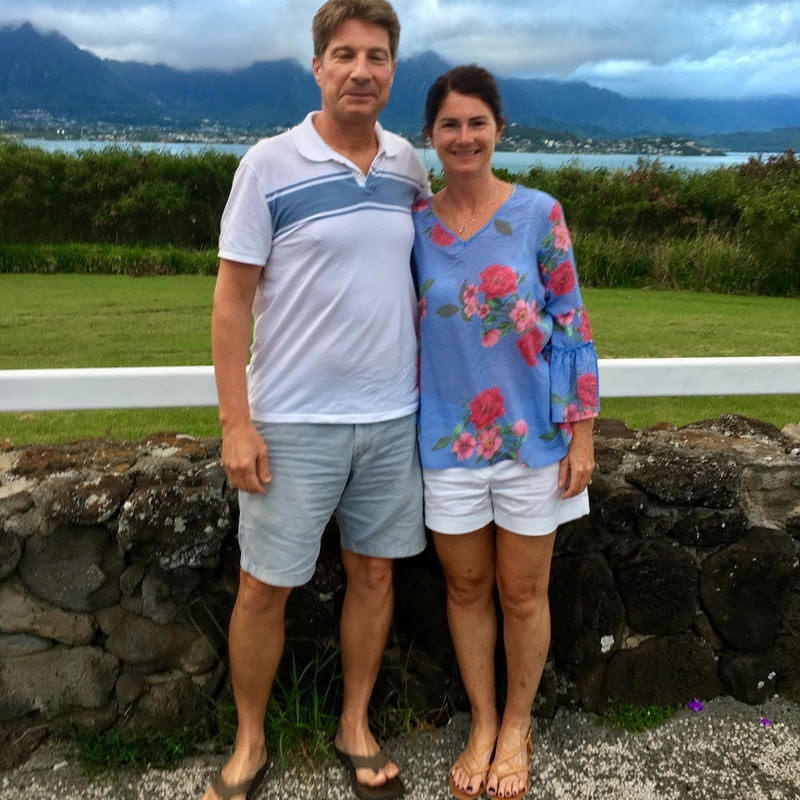 He drove us past the submarines, aircraft (no photography allowed for obvious reasons) and even the beach cottages where the movie Aloha was partially filmed. We stopped at The Lanai on the Mamala Bay side of the base for some Hawaiian fish and chips...and some daiquiris. We had a great view of the main beach on base which is literally right next to the runways. I would have loved to SUP in this bay! 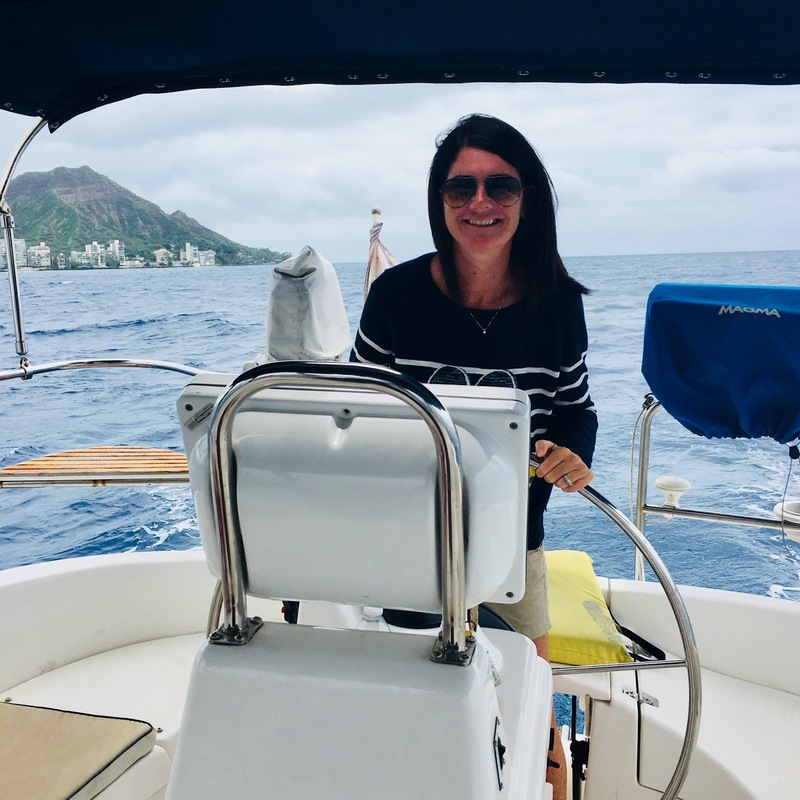 mrC's friend took us out on the bay in his sailboat so that we could see Oahu from another perspective and so mrC could get some sailing in. Surprise, I got to take the helm, too! 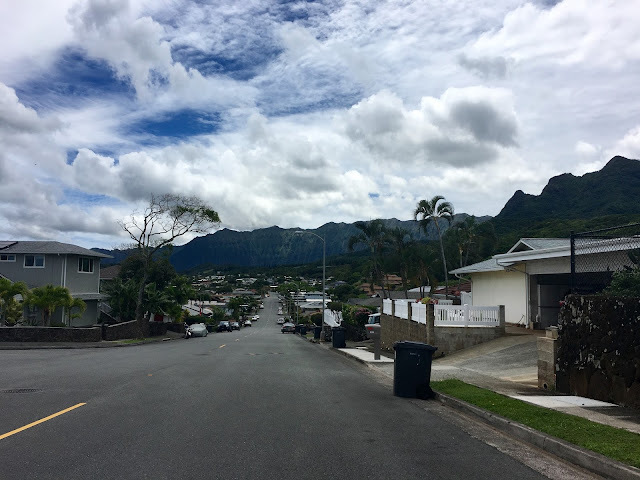 Oahu is such a beautiful place. 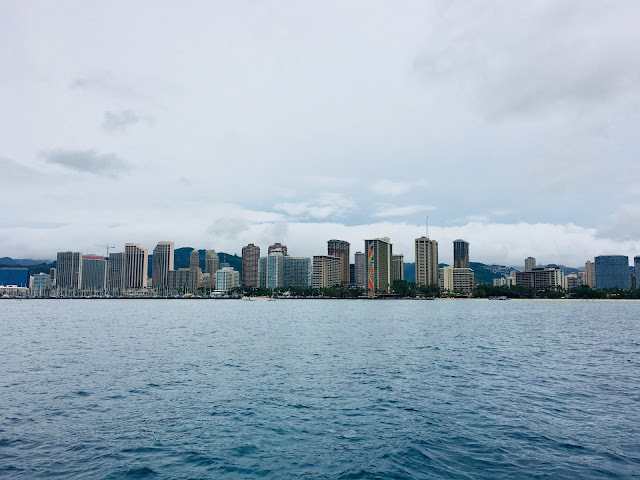 I loved seeing Diamond Head and Waikiki Beach from the water. Taking the advice printed on my GAP tee, whenever we felt like stopping to see something, we did. It was fun to strike a pose on lava rock, enjoy the views from various lookouts (never got tired of this) and see mrC's old stomping grounds. We even stopped to watch the various planes and helicopters at work on base and around the island. 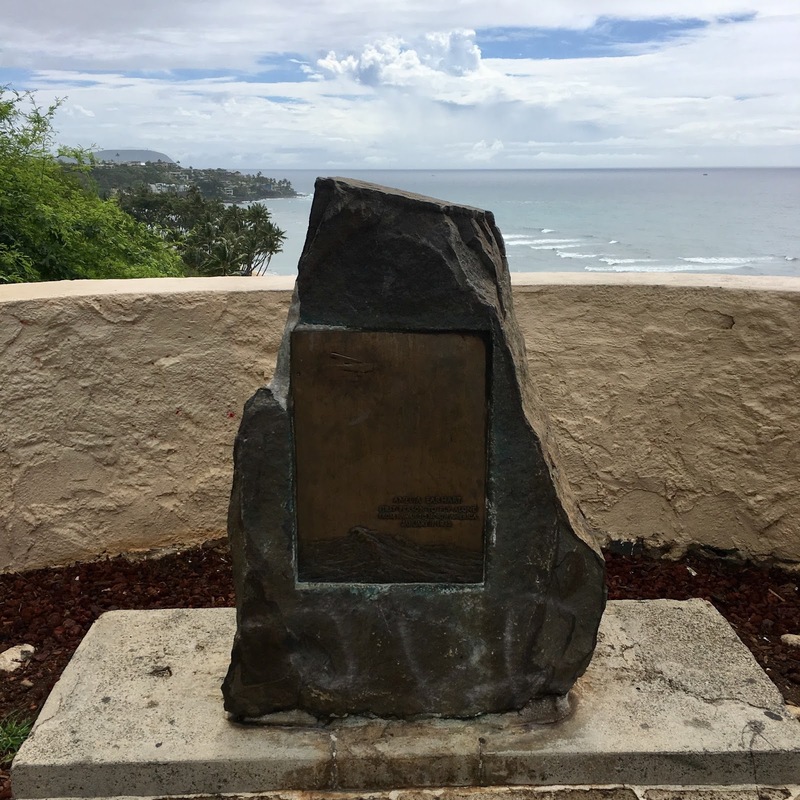 Amelia Earhart's Marker - first person to fly from Hawaii to Mainland. We spent our last day at the Marine Corps hotel, Hale Koa, downtown and on Waikiki Beach. This place was amazing! The grounds were so beautiful. We were steps away from the pool, restaurants, shopping and the beach. We spent some time on the beach and then explored along DeRussy Boardwalk. 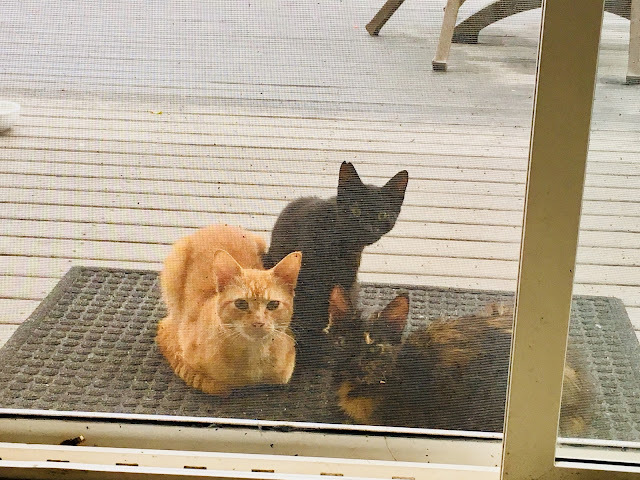 We got to spend time with mrC's friend who he hasn't seen in many many years and we met a family from California staying in the cottage next to ours who were very nice, but these "cottage cats" were the cutest friends we made in Oahu! It's always good to be back in the USA and enjoy our favorite things, but it was fun to experience new places too. 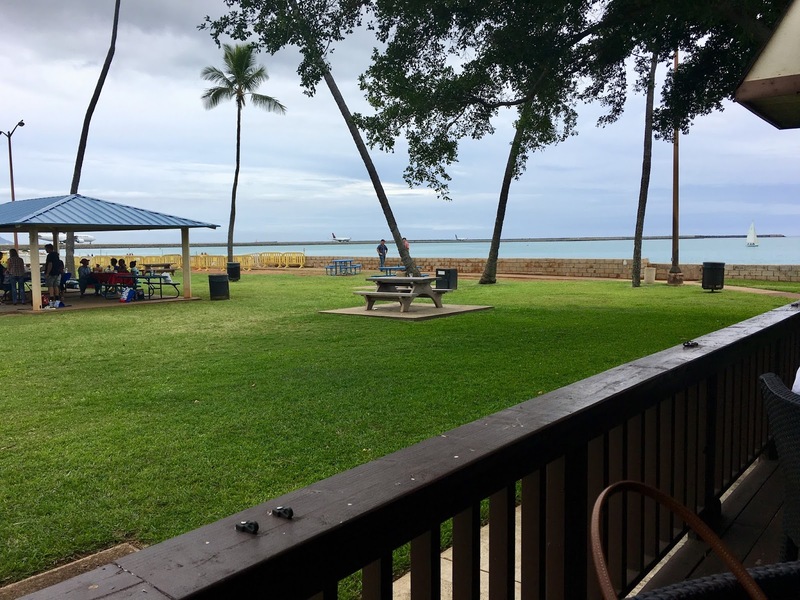 mrC's friend took us to Haleiwa Joe's for an awesome seafood dinner and then The Lanai for a delicious lunch. 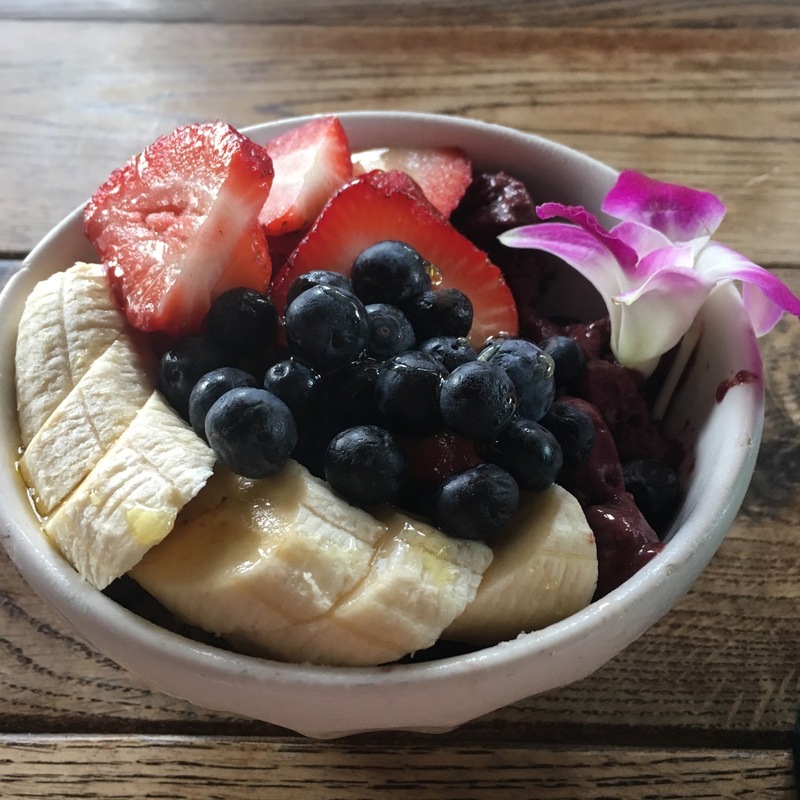 Our Cali friends recommended Goofy's Cafe where we had the BEST acai bowl. We stopped at the highly recommended Happy's Snack Bar on the beach for a little happy hour. And that's a wrap! This unexpected vacay was the perfect mix of fitness and pleasure. 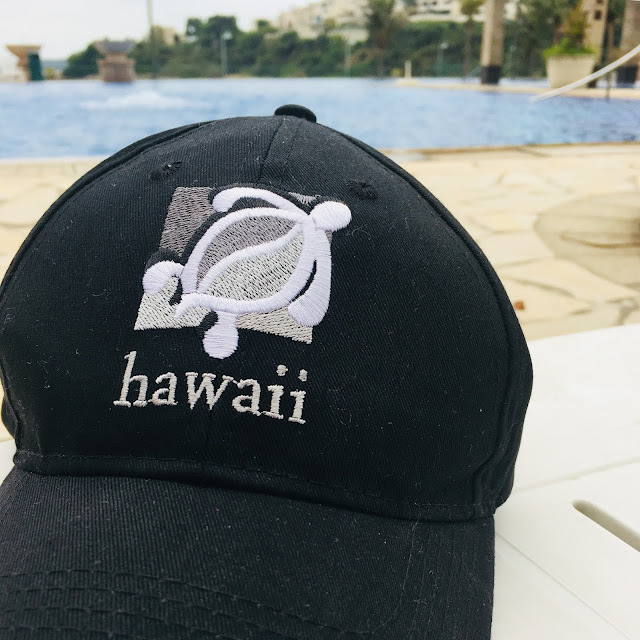 Have you ever been to Hawaii? Which island? What workouts do you do when on vacation?